The developers at Gunfire Games are big fans of compelling stories. A good story – one with characters you can relate to, events that are epic and exciting, and one that concludes in a poignant, satisfying ending – is extremely important. A good story helps drive the player, gives him an undeniable reason to care about the outcome of the game – provides a way of anchoring the player’s actions and the decisions he makes to the events unfolding before him. Remnant: From the Ashes will be no different. We are proud of the setting and storyline of Remnant. It’s an Apocalypse of great beauty – we know that’s an odd statement but a true one. We wanted to craft an end to the world that was strangely inviting… a place you’ll want to visit, become a part of – a place to experience wonders and horrors that have a distinct fairytale-like quality to them. A world you won’t soon forget. Diversity was a key theme for Remnant’s environment design during the game’s early development – after all, at the core of the story is the idea that the hero will eventually travel to alternate dimensions and set foot on fantastic worlds that are wildly different than Earth (Check out our latest blog, Introducing: Yaesha!). The artists at Gunfire are no strangers to crafting amazing environments, but we wanted to go beyond the aesthetics and extend the idea to actual gameplay. 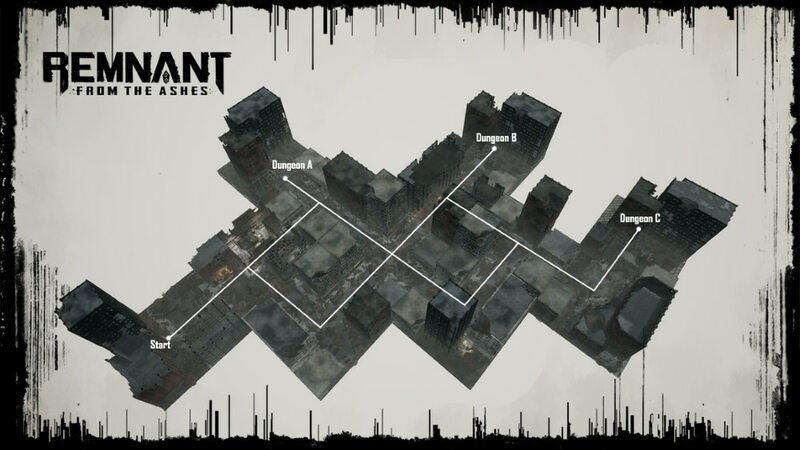 The worlds in Remnant are procedurally-generated, using a large and varied collection of environment tiles and map templates. This, in tandem with randomly populated dungeons, side quests and events all contribute to the creation of very different experiences each time a world is re-rolled. 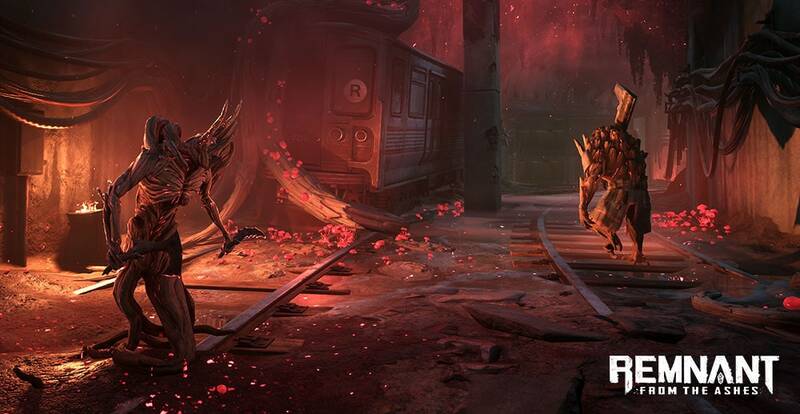 Each tile in Remnant is a fully-realized environment in its own right - complete with props, decals, lighting, effects, sound and gameplay objects that bring them all to life. When these tiles are strung together by a collection of interesting map templates, it creates a multitude of intricate, diverse environments. There are many more aspects to mention, especially gaining levels to improve your core traits but we keep these details for a later blog. But no worries, we already have other exciting blogs planned. Something almost everyone is interested in: Loot and crafting in Remnant: From the Ashes, as well as other game mechanics. Stay tuned and keep an eye on our blog and social channels! 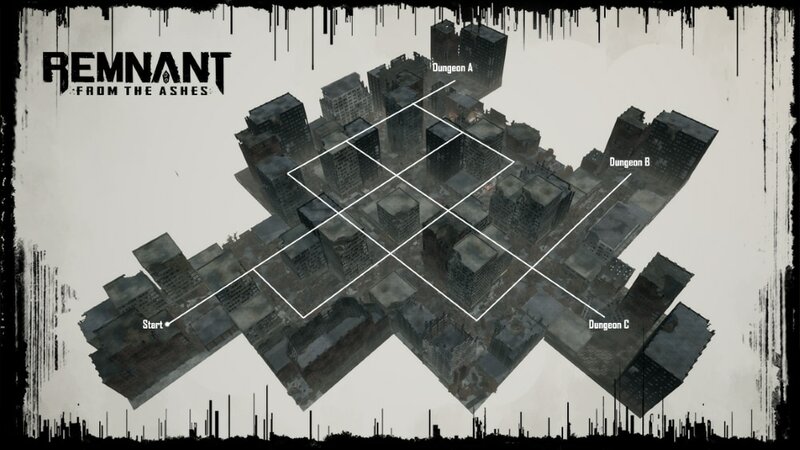 Today we’re diving into some ground-level core system mechanics for REMNANT: From the Ashes. See what top media sites think of Remnant: From the Ashes in these previews! Release Date Announcement for Remnant: From the Ashes! We’re excited to announce that Remnant: From the Ashes will release on August 20, 2019!